Britt Speyer Fleming represents automobile manufacturers, specialty vehicle manufacturers, large public power utilities, engine and equipment manufacturers, trade associations, and coalitions before Congress, federal, and state agencies. Her practice focuses primarily on environmental law and regulation, energy policy, and technology development issues affecting these industry sectors. 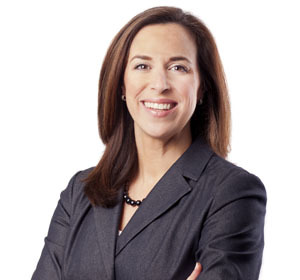 Since joining the firm in 1997, she has advised clients on various federal and state environmental and energy policy laws, with special emphasis on the Clean Air Act. With regard to the Clean Air Act, Britt regularly represents clients in the development of mobile and stationary air regulations and counsels them on related implementation and compliance matters. In addition, she advises clients on the implementation of National Ambient Air Quality Standards, including those standards regulating ozone, particulate matter, and sulfur dioxide, and provides strategic advice and counseling on project planning throughout this dynamic process. Britt assists clients with permitting both new facilities and modification projects both at the state and federal levels. She also counsels clients on compliance with federal and California vehicle emission standards and emission standards for a variety of off-road engines as well as issues related to enforcement of those standards. Britt is the chair of the firm's recruiting committee. Advises electric utilities on compliance strategies related to the U.S. Environmental Protection Agency’s (EPA) Mercury and Air Toxics Standards (MATS). Representation includes meetings and interaction with EPA’s Office of Enforcement and Compliance Assurance (OECA), Office of Air and Radiation, and applicable EPA regional offices. Represented a large manufacturer of off-road engines in an enforcement action involving allegations of a significant number of Clean Air Act violations. Settlement entailed extensive interaction with attorneys from EPA’s OECA and the Department of Justice (DOJ) to develop a mitigation strategy and significantly reduced penalty amount. Worked closely with a large public utility client to obtain a Federal Power Act 202(c) Emergency Order to address potential non-compliance with MATS. Representation required interaction with the Department of Energy (DOE). Represented a heavy duty engine manufacturer before the California Air Resources Board (CARB) in resolving alleged violations of California's emission certification requirements. Settlement negotiations involved CARB enforcement and legal staff. Represented an association of automobile manufacturers in the strategy and rule development for air toxics regulations applicable to numerous plant operations, including surface coating (auto, plastic and metals), gasoline distribution, emergency engines, liquids storage, engine testing, and industrial boilers, among others. Engagement entailed working with companies to respond to the Information Collection Request, drafting comments, supplemental comments and technical amendments, and organizing and attending meetings with staff and management at OAQPS as well as EPA’s Office of Air and Radiation, and the Office of Management and Budget (OMB). Challenged, on behalf of an industry association, EPA’s air toxics rule applicable to reciprocating internal combustion engines (RICE). Representation involved meetings with Department of Justice (DOJ) and EPA Office of General Counsel (OGC) attorneys and developing consensus-based settlement with client association and other associations in the consolidated proceeding. Assists natural gas pipeline companies with Clean Air Act issues raised during the certification process before the Federal Energy Regulatory Commission (FERC), as well as during the state environmental permitting process. Counsels a control technology manufacturer on potential markets for innovative monitoring package. Representation involves facilitating contact with relevant EPA staff at the Office of Air Quality Planning and Standards (OAQPS).